Try our gentle healing technique at Setter’s Health Centre. We employ the Bowen Therapeutic Technique – Bowen Therapy, which is a dynamic system of muscle and connective tissue therapy that encourages the body to right itself. This technique involves a gentle roll over the muscle and fascia. By using a set system of these small moves from the base of the neck to the tips of the toes, with small waits of 2 minutes or more between sets of moves, the Bowen Therapist stimulates the body’s innate healing system to realign and re-balance. Setter’s Health Centre Townsville has helped clients for over 25 years and offers a relaxed and professional environment for Bowen Therapy treatment and massage. We are located right in the heart of the Medical Precinct of Pimlico in Townsville and have on-site car parking with direct ground level access to our clinic. For more information on the benefits of Bowen Therapy, contact us today about a session tailored specifically for you. So you may have been been told by a friend to check out Bowen Therapy. But your friend was struggling to explain – What is Bowen Therapy? & What this amazing modality can do for you? What can Bowen therapy do for you? Bowen Therapeutic Technique (Bowen Therapy) is completely safe for the newborn baby to the frail and elderly. It is gentle, fast and an effective way to treat health concerns from sporting injuries to pain, stress and discomfort. Bowen Therapy stimulates the patient’s musculoskeletal system into realigning itself. The beauty of Bowen Therapy is that it will not interfere and works well with all medication and/or dietary supplements and is gentle but powerful. A treatment takes about one hour… Bowen Therapy is unique in its ability to not combine with other therapies. 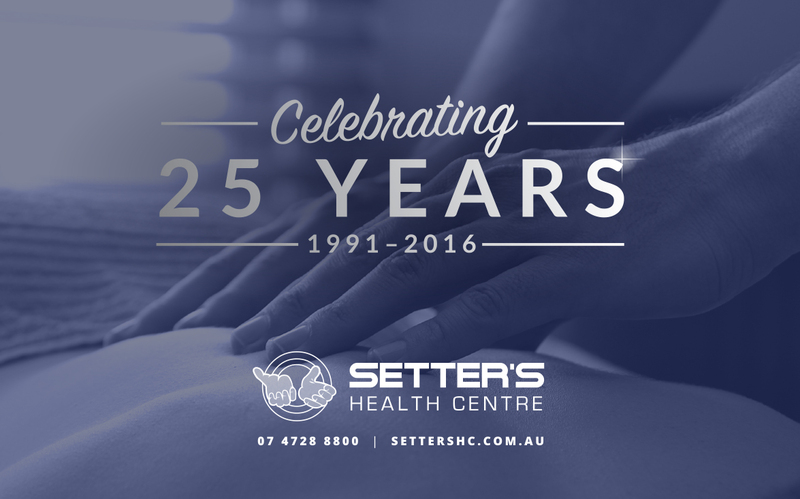 Welcome to Setter’s Health Centre Townsville Your Bowen Therapy Pain Relief Specialists For 25 Years!